Anderson Funeral Home was founded in 1872 by Swedish immigrant John Anderson. Anderson was trained as a cabinet maker and after settling in Alexandria he was asked to build caskets for members of the community. John Anderson was followed by his son, Carl V. Anderson, as proprietor of the funeral home. And Carl V. Anderson was followed by his son, Paul H. Anderson, the father of Tom & David Anderson. The Anderson Funeral Home has changed locations only a few times since 1872, affording a sense of reassurance to the families they serve. Their first location was in the present Hennen Furniture building on Broadway from 1872-1928. Their second location was on the corner of 7th Avenue West and Cedar Street in what is now the Cedar Rose Inn Bed and Breakfast from 1928-1933. And prior to the current location, the funeral home was located at 7th and Jefferson Street from 1933-2006. 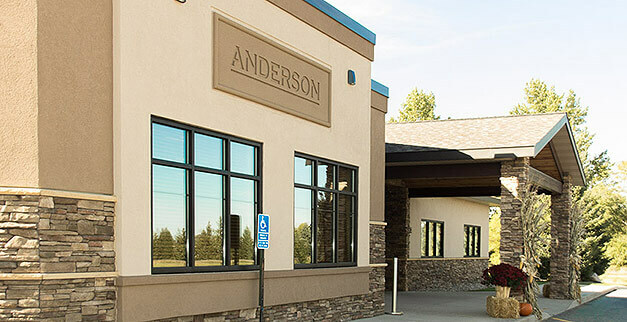 In March of 2006, Anderson Funeral Home opened their present location at 920 County Road 44 NW. In 2014, Tom and David Anderson partnered with the Vertin Family, as local owners. This cooperative venture was aimed at continuing the Anderson tradition of personalized, professional service that you and your family have come to expect. 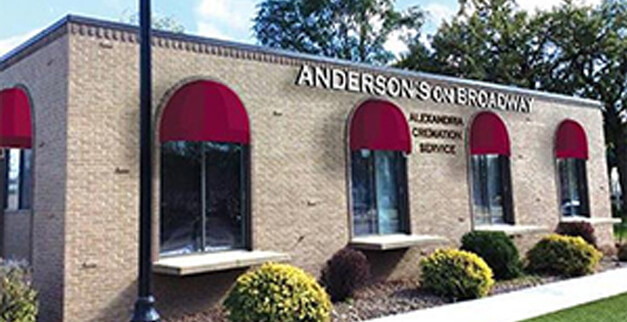 Together, the staff and owners at Anderson Funeral Home and Crematory and Anderson's on Broadway, promise to operate with the same sense of compassion and courtesy that was evident with the first three generations of the Anderson Family.